adjustable offset racing wheels! sneek peek! 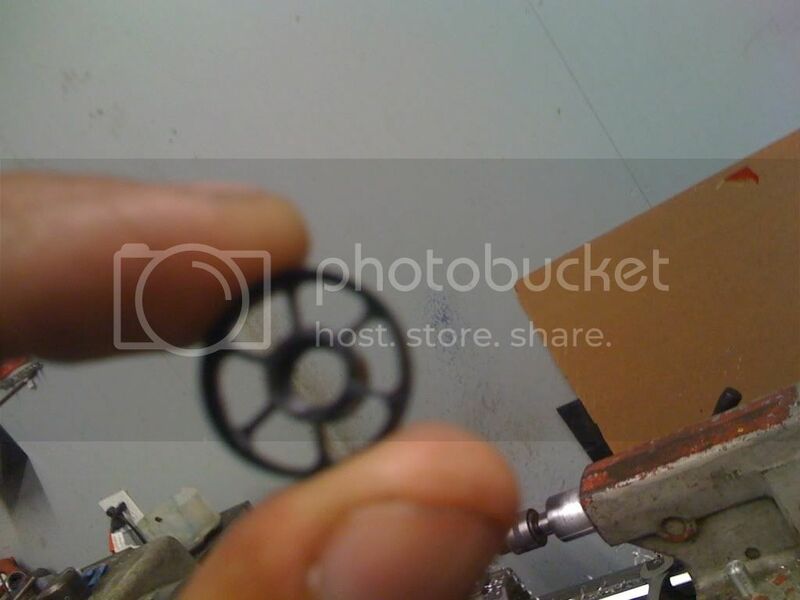 7. the concentricity of the wheels is kept to .0008" or less (this means that they are pretty much perfectly round!) your hair is about .005"
we have been testing them for weeks now and i have only had 2 instances where they moved and both were in such a collison that i could not have finished the race anyway (body got jacked crooked). i got T boned at full speed at the end of a straight. both times the wheels were not glued. so the way these are to be used is to practice with them unglued until you find what offset works for you and then glue them in from the back and you are set. now since these are delrin CA does not bond to it and you can reuse the wheels by soaking them in acetone, clean the glue off and start over! here are a couple of sneek pix, real pix will be released next week as well as pre-orders. You know I'll take some!! Looks excellent -- I'm worried about the durability of the center hub (it looks thin from the pics) but from a hobbyist's perspective, I think it's great that we're finally getting viable non-dish racing wheels. Will they be compatible with the FPR wheel spacers? That's a must. 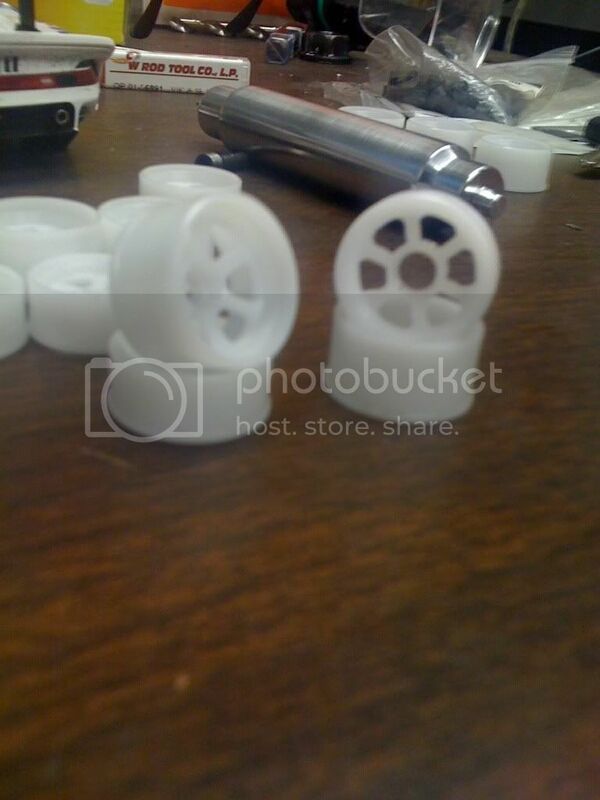 thanks guys, the wheels are 6g for the set. as far as them being thin , the cross section is thicker than it looks. i actually made some that had ultra thin webs just to see what would happen and they held up fine but i didnt want to send them out that way! The play depends on the knuckle axle rather than the bearings -- not everyone is going to have the perfect knuckle/bearing match, so please, please make them compatible with the FPR spacers. Then they'll be the perfect wheels. Marcus! Nice work! Please tell me you will also make LM sized fronts! no +2 for the front? any reason not to have these? they look great and for sure will try them out. Any chance of these being made for the AWD chassis? the front dish is flat and that limits the amount of offset. a +2 leaves alot of wheel hanging over. if i redesign the front hub it may work for a +2 but no way a +3. Traveler the fronts slightly bigger than the LM and slightly smaller than the std size. LM tires fit well. color01, i have no idea what the FPR spacers even look like, my thoughts on what you are trying to accomplish is to simply make a spacer that is longer than the middle part between the bearings , that way all of the pressure translates to the center of the bearings and takes the wheel out of the equation . The spacer has to be *barely* longer than the distance between the bearings, or the bearings can potentially shift on the rim hub. 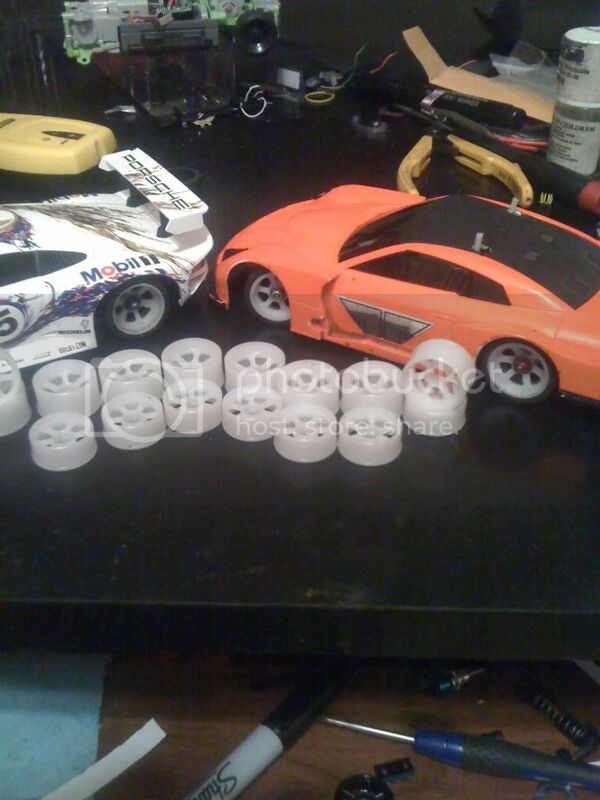 Anyways, as long as you're keeping the bearing spacing on these wheels the same as stock Kyosho, it should be OK. I think +2 should be worked in if possible. Unless a WTF is going to be out for the 03 very soon. +1 is a little narrow for the PN pancars IMO. I do run 0s on my WTF and WTF2 on my 02s. The wheel works perfect with the FPR spacer. Marcus, that is exactly what the FPR spacer is. I personally like that these are -1/0/1mm offsets for the front. I never use a +2mm wheel. If I setup a pan car, it will be on an MR02 with WTF. I wouldnt use an MR03 for it, unless there is an extra wide A arm set. its simple enough to add another groove but the hub would sit pretty far in and maybe weak. i will try it out on the next run. the WTF2 is 1.5mm per side wider so you only need 0's are +1's anyway. what about a +1.5?? Traveler my front wheels with std tires is the same diameter as the LM tires on LM wheels! so this gives you alot more tire choices for the LM car!! 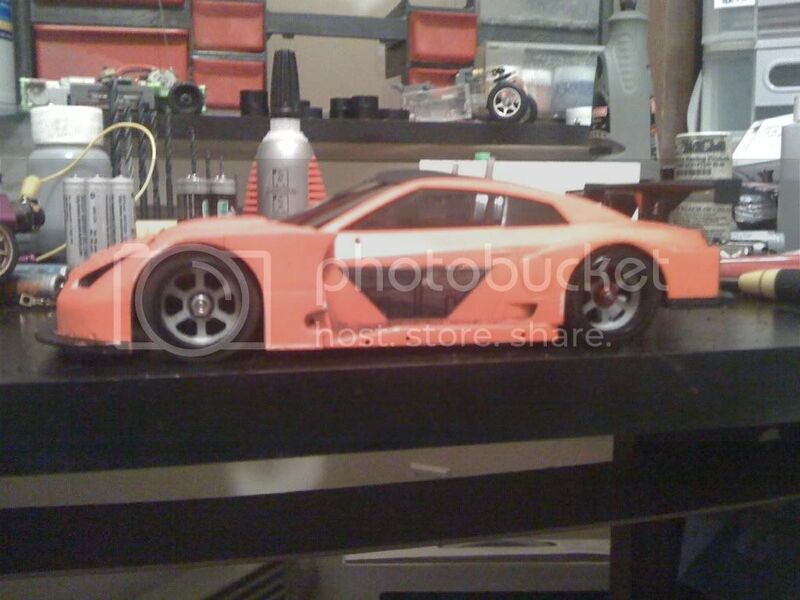 i will setup a dummy chassis with the wheels on a LM later today.